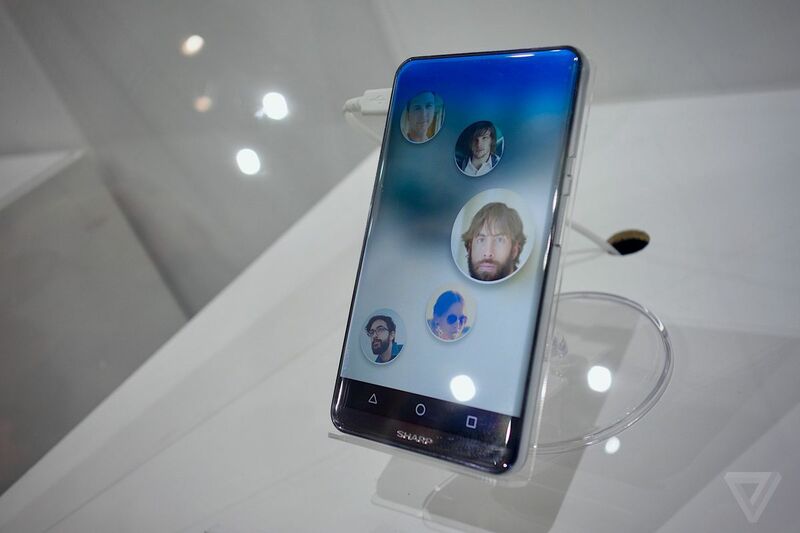 Home Entertainment News trending Scientific life shining stars Technology The Sharp made this ultra-hot phone display with actual curved corners!!! The Sharp made this ultra-hot phone display with actual curved corners!!! Sharp has a knack for making phone displays with tiny bezels, as seen in the US a couple of years ago with the Aquos Crystal, but the company has upped its game in a big way and I want this display on a phone immediately. This concept is called the Corner R and uses the company's Free-Form Display technology, which enables IGZO LCD panels to be cut into various shapes. Aside from the near-total lack of bezels, this 5.2-inch 1080p panel stands out with the way its corners have actual curves. Remember how OS X — sorry, macOS — used to render little black notches in the upper left and right to give the impression of a physically rounded screen? This is like that, only for real. Sharp seems to have difficulty helping its Free-Form Displays make the leap from trade show floor to retail, but this Corner R concept should be an easier sell. It's still not an actual product, though, so the wait goes on. Sharp has a knack for making phone displays with tiny bezels, as seen in the US a couple of years ago with the Aquos Crystal, but the company has upped its game in a big way and I want this display on a phone immediately. This concept is called the Corner R and uses the company's Free-Form Display technology, which enables IGZO LCD panels to be cut into various shapes. Aside from the near-total lack of bezels, this 5.2-inch 1080p panel stands out with the way its corners have actual curves. Remember how OS X — sorry, macOS — used to render little black notches in the upper left and right to give the impression of a physically rounded screen? This is like that, only for real. Sharp seems to have difficulty helping its Free-Form Displays make the leap from trade show floor to retail, but this Corner R concept should be an easier sell. It's still not an actual product, though, so the wait goes on.